This beautiful coat is unique in that it zips up the back! 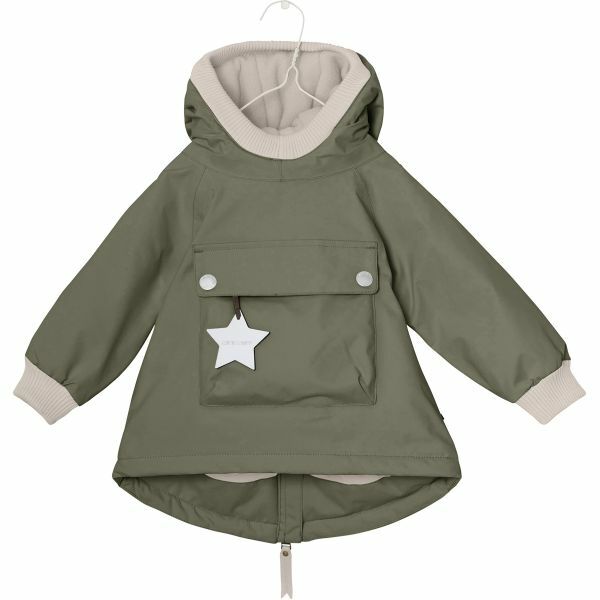 With fab details such as ribbing, reflectors and an extremely durable YKK zipper. The coat is made from a waterproof (8,000 mm), breathable (8,000 g) and durable material that can withstand daily wear and tear in any weather - such as coldness, rain and snow. The warm Thermolite and polar fleece inner lining, also ensures that your child stays warm even on the coldest of winter days. Shell: 100% nylon Lining: 100% polyester. Mini A Ture is known for a functional and design-oriented outerwear collection such as this classic winter coat, that has been one of the most popular winter jackets for several seasons.